One man was caught using two phones at the same time. Mobile phone detection cameras have been active along the M4 at Prospect and at Anzac Parade, Moore Park for just over a month. 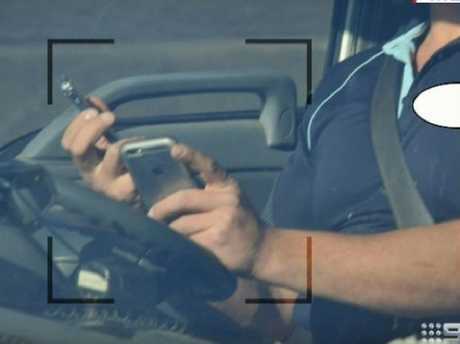 Just 25 days into the three-month trial of the new technology, 20,125 drivers were caught illegally using their phones behind the wheel, according to Nine News. One particularly disturbing photograph shows a male driver with a phone in each hand and resting the side of his hands on wheel to help steer. Another picture shows a driver holding a notepad in one hand and his phone in the other, while not touching the steering wheel at all. One motorist was caught enlisting the help of their passenger to steer so they could send off a text message. 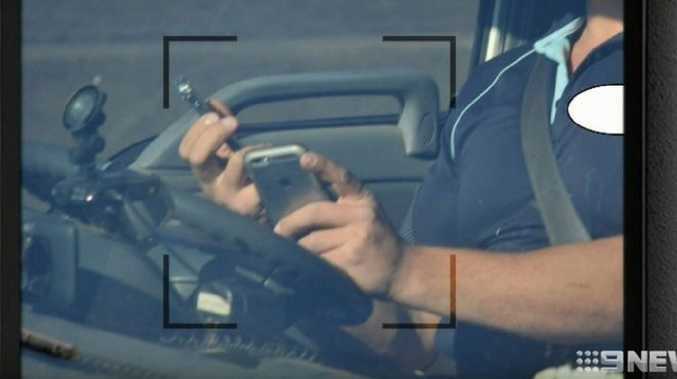 Almost 1000 drivers a day are being pictured using their phone while driving along the two popular Sydney roads. 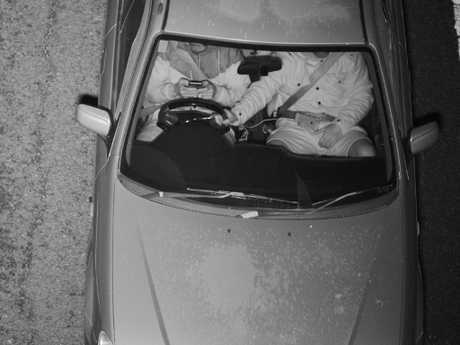 However, even though so many drivers are being caught taking part in the incredibly dangerous act, none of them will receive fines just from being captured by the detection camera. Motorists won't start being fined until April, when the trial period is over. Thousands of drivers have been caught engaging in the dangerous act. In the meantime, drivers caught doing the wrong thing will receive a letter notifying them that they were caught on camera. Nine News revealed that the number of drivers being caught increased towards the end of the first trial month as the intelligence system was still being trained. 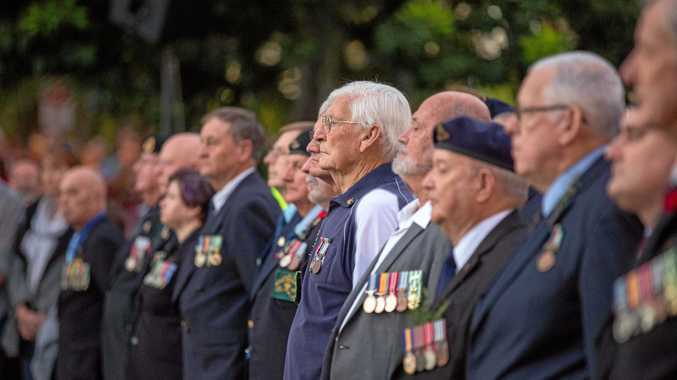 NSW Roads Minister Melinda Pavey said the grace period will allow time for any possible teething issues to be worked out. "If at the end of the trial, the technology proves to be foolproof, the community will be made aware of its permanent use," Ms Pavey said. "Seventy-four per cent of the NSW community support the use of cameras to enforce mobile phone offences. I strongly believe this technology will change driver behaviour and save lives." 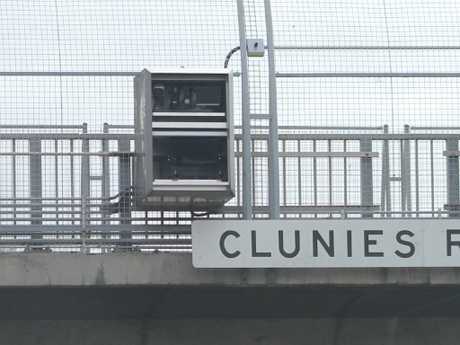 One of the cameras above the M4 at the Clunies Ross overpass. The numbers recorded during the first month of the trial are nearly double that registered during the testing period in October last year. The testing period saw more than 11,000 caught using their phones illegally. The technology uses a radar-based sensor system to automatically detect vehicles and record data, including photos taken through car windshields, which is then automatically analysed by artificial intelligence and passed on for review by a person. The world-first technology is capable of catching drivers using their phones, even at night time, in poor weather conditions or at speeds up to 300km/h. Once the trial period is over, drivers who are caught even just touching their phone will be handed a $337 fine and five demerit points.